Acclaimed singer-songwriter, producer, and writer Nathan Leigh returns to St. Paul to play songs from his new album Ordinary Eternal Machinery. Sing-alongs, storytelling, and left-field covers will make for an unforgettable night of music. Hailed as “a songbook for our time,” indie folk producer and songwriter Nathan Leigh's 2012 album A Life In Transit explored the highs and lows of touring life. Splitting his time between the life of a touring musician and a theatre composer, Nathan Leigh has performed in venues across the country, and had his music featured in over 300 plays from South Africa to Greece. With former Super Mirage bandmate Kyle Jarrow, Nathan co-created the musicals Big Money (WTF Boris Segall Fellowship 2008) and The Consequences (World Premiere 2012 at WHAT). Collaborating with Jason Slavick and the Liars and Believers ensemble, Nathan Leigh composed scores for adaptations of Song of Songs and Icarus (NYMF 2013). 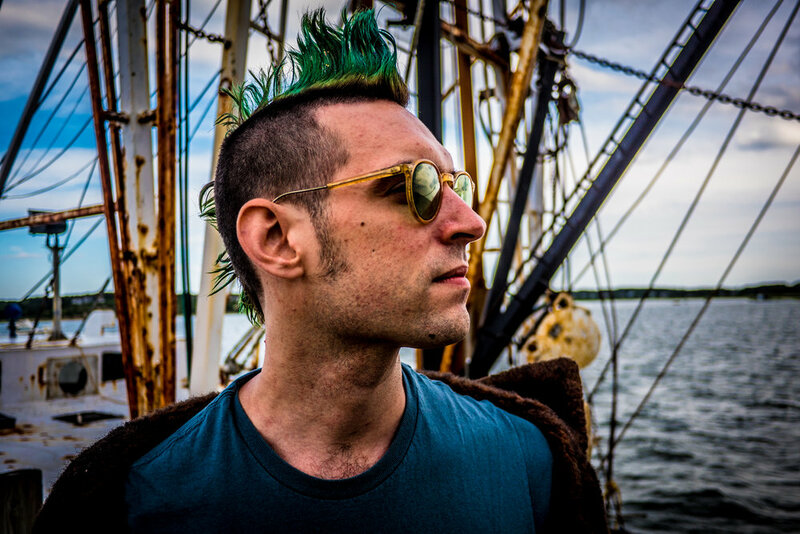 He is the composer and co-lyricist for The Mad Scientist’s Guide to Romance, Robots and Soul-Crushing Loneliness (NYC Fringe 2015) with book writer Megan Sass. Since 2010, Nathan has worked for AFROPUNK as staff music reviewer and producer for the monthly AFROPUNK Mixtape series. Nathan is a founding member of the Peoples Puppets of Occupy Wall Street, now in its 5th year of radical street theatre and puppetry. His latest full length solo album, Ordinary Eternal Machinery, is due out January 2017.